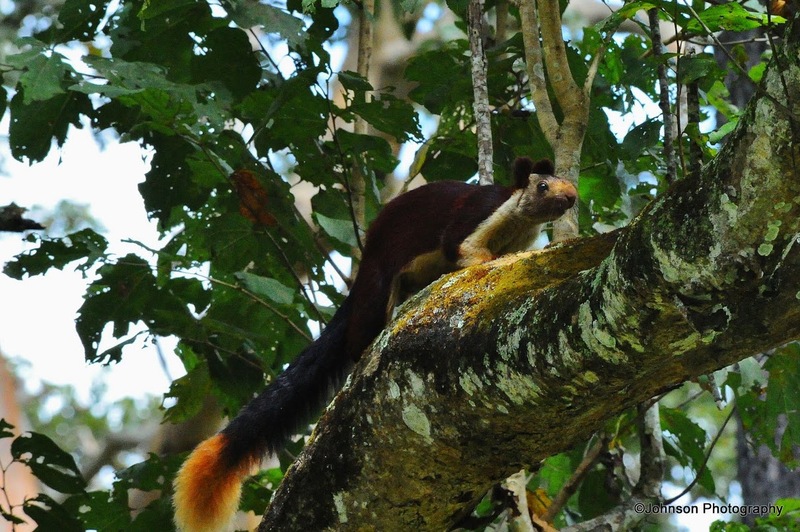 Indian giant squirrel or Malabar giant squirrel (Ratufa Indica). 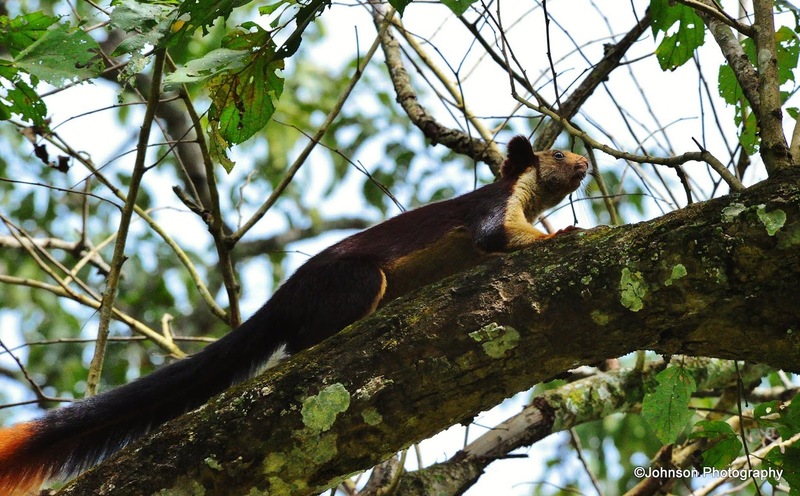 The Indian giant squirrel is an upper-canopy dwelling species, which rarely leave the trees, and construct their nests on tall, profusely branched trees. It travels from tree to tree with jumps of up to 6 meters. When in danger it often freezes or flattens itself against the tree trunk, instead of fleeing. Its main predators are the birds of prey and the leopards. They are active in the early hours of the morning and in the evening and rest during midday. 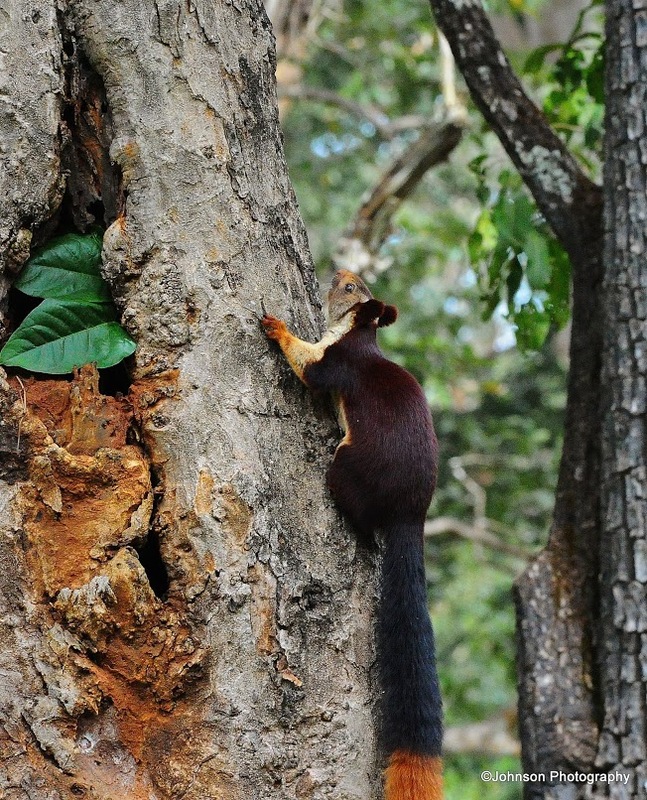 These pictures were taken at Nagarhole National Park, Karnataka. 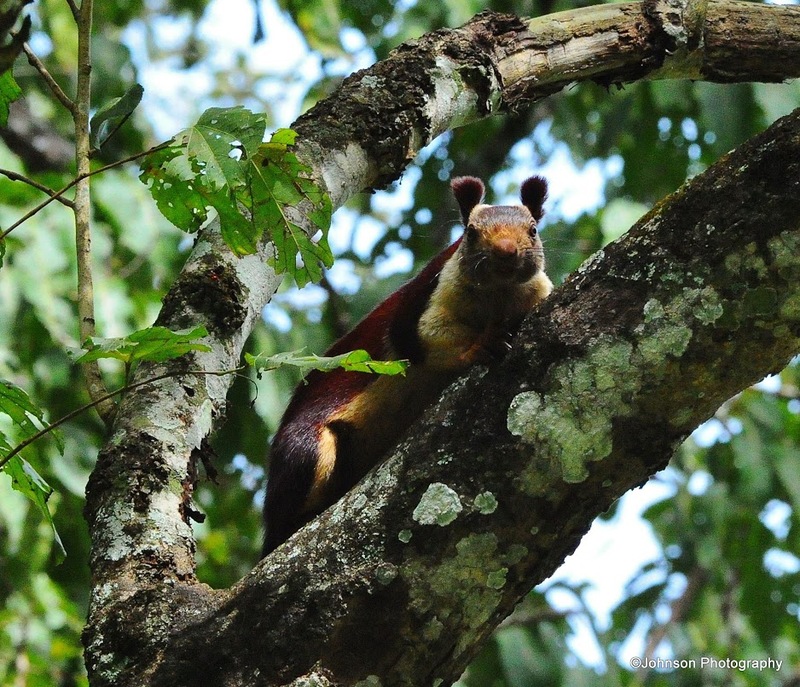 I’ve been lucky enough to visit Nagarhole, but I certainly never saw one of these. Lucky you, and lucky you had your camera at the ready! Yes, you don’t see them often. They look bigger than the grey squirrels here in Texas and much prettier. Beautiful and cite squirrels. You were lucky to snap them.. Yes, it does not happen every time. And jumping 6m, wow! How large are they? Body length is average 36 cm. The tail is almost 2 feet. Now that’s a GIANT squirrel! Beautiful images – very well captured! 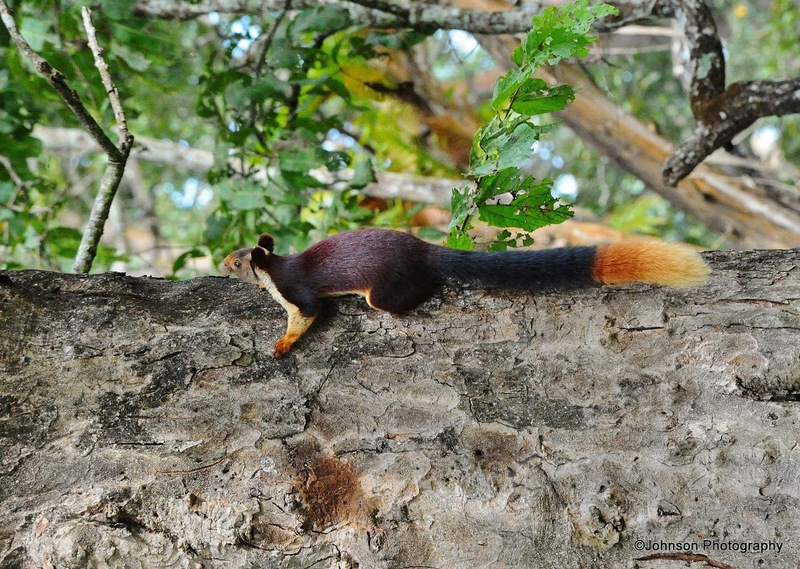 How beautiful and colorful they are, compared to American gray squirrels,,, though we have some white squirrels and orange squirrels, and places where they are gorgeously shiny black…but nothing colorful like yours! Yes, they are really pretty. Gorgeous – I’ve never seen one before! I love squirrels. We don’t have them in Australia. This one is so beautiful and colourful. I adore its tail. Great photos! Thank you very much for stopping by and commenting. Keep visiting.